Because I need more yarn. 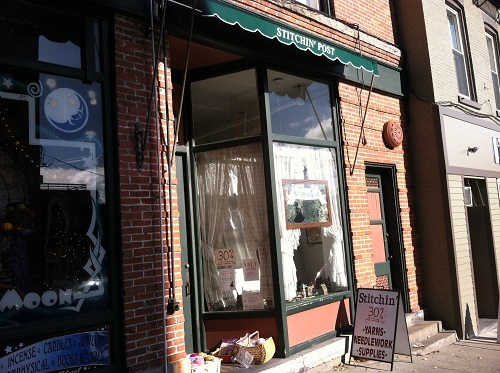 I made a trip up to Saratoga Springs and The Stitchin’ Post yarn shop this past weekend. I got a gift certificate from there for my birthday, but heard they were closing soon, so I went up to see what I could get (30% off everything!). What an interesting shop. I’ve been there before, but several years ago. 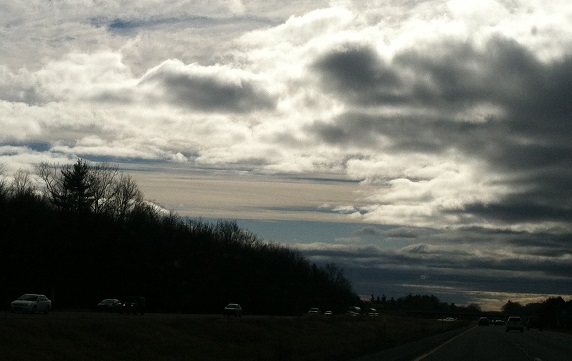 Sorry, a little blurry, but I was stealth-photographing. 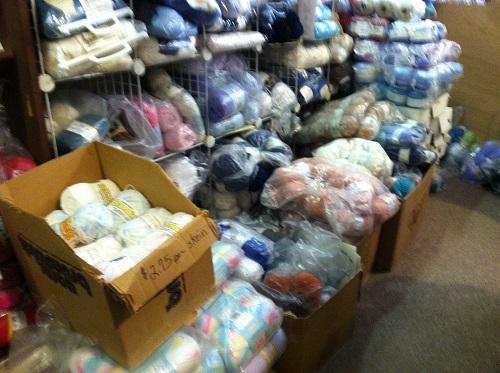 There is a lot of yarn in this very small shop. You’ve got to dig through to see what gems are there. The woman working confirmed that they are closing but it is uncertain when that will happen. 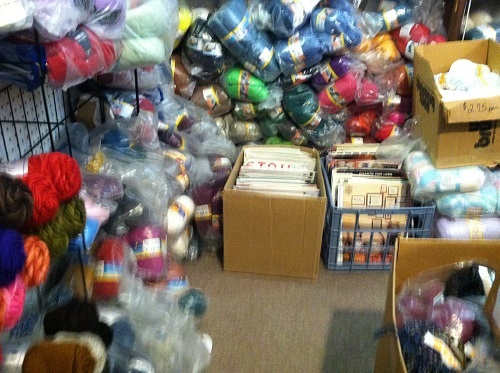 Apparently, the owner is still bringing yarn that is stored at her home! So, if you are in the area, and need some yarn at a good discount, head on up. The Berroco Comfort will be great for kids’ knitting. I don’t love knitting with it, but it is great because it is washable. The Lang sock yarn looks purple in this picture, but it’s more cranberry colors. I think that might become a Sockhead Hat. And the other skein is a Lorna’s Laces sportweight that I’ve been wanting to try. 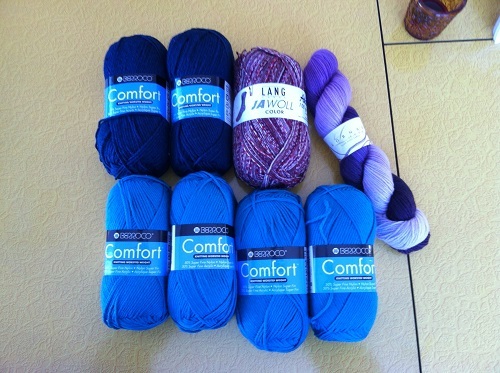 Like I said in my previous post: Because I need more yarn. Posted in Uncategorized and tagged stitchin' post on November 26, 2013 by lizytish.